Kansas City Fringe Festival, for thiose of you who may not know, is the largest performing arts Festival in the city. Spanning over two weeks, the festival includes arts as well as theatrical performances. Not to mention there are several evenings on the town, also known as Late Night on the Fringe; the party destination that allows you to meet the actors and crew behind Fringe as well as the volunteers and fellow lovers of the arts. 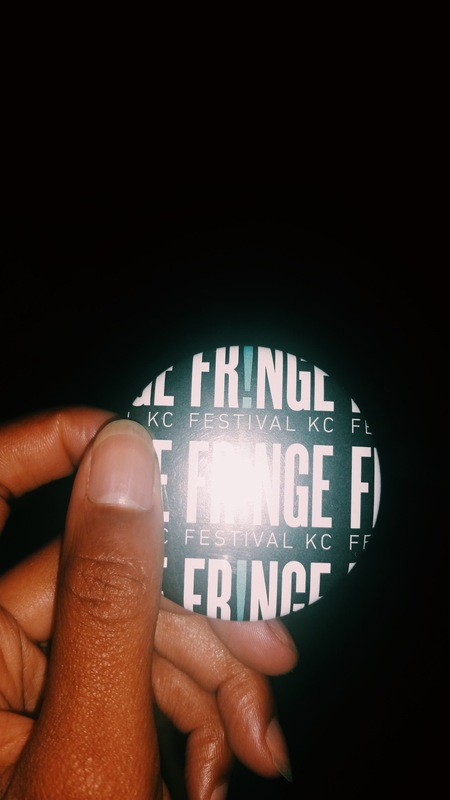 Your KC Fringe buttons are not to be forgotten either. Not only do they get you into the shows and allow you free admission for Late Night, those bad boys can also get you some sweet discounts atselect local spots around the city (for the fully listing of those and sicount specifications, click here). The second week of Fringe involves solely theatrical performances and having worked at my college’s theatre, I was pumped to be going to a show for the first time in a while. The festival line up offers a lot different genres for everyone to enjoy as well as multiple showing times for people to see the performances. The difficult part is choosing which performances to go to. While shelling away all my money to go and see every single performance would be a great benefit to the actors and crew, it would be a little rough on my walllet. So, after much deliberation, I settled on three; Silver: A Noir Ballet, Bird in the Hand and Voyage to Voyager. Three very different performances that made me think in three different ways. Night one of fringe, Brent and I went to see Bird in the Hand, an interactive play where the audience is split up into three different of the Union Station lobby and experience three different parts of one play. How do you learn about the rest of what went on in the other parts of Union Station? You can ask others who saw the other parts of the play or you could leave and take what you saw home with you and never tell a soul. When I told Brent the play was about international espionage, he immediately started pretending we were secret agents and insisted we needed code names. As much as I said I wasn’t interested in playing his little game, it was endearing to watch him pretend he was a more attractive Tom Cruise weaving his way through enemy territory to obtain interenationsal secrets. Despite only knowing a third of the story, Bird in the Hand was welll exceuted and left Brent and I talking about the play hours after. Night two of Fringe was a 180 from night one. 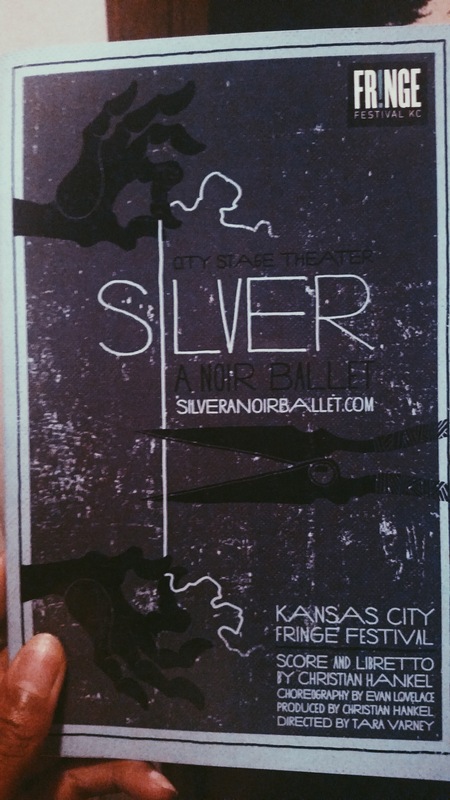 Brent and I went to see Silver: A Noir Ballet. I had no idea what to expect but based on the playbill image, I suspected there would be some Grecian themes involved. Of the three plays Brent and I saw this week, this was by far my favorite and made me think the most about the meaning behind the play. The lead dancer was very strong, had beautiful lines and literally sent chills down my spine when he danced. Professional or no, I didn’t care, I thought he put on a beautiful performance and every ounce of emotion in each number was palpable every time he pointed a toe or leapt in the air. The play itself definitely gave off that noir vibe but with a modern twist. Normally, I wouldn’t associate ballet with noir but then again, I also wouldn’t associate a jazz singer and band with ballet. It took some pondering to piece together the noir elements in the performance but once I did, I was even more spellbound by the performance as a whole. My and Brent’s final night of Fringe was a show Brent picked out; Voyage to Voyager. I have to admit, I was a little skeptical of how interested I would be in the premise of the play. Brent, being a space guy, really wanted to see a play about the golden record that was sent into space on the Voyager probe in 1977 (he of course, knew all the history around the record and was more than eager to share it with me). But, I conceded to going since I had put him through Silver (though he totally enjoyed it) and it was in the Planetarium, so I was interested to see how the space would be used. To my surprise, the play was actually very interesting and used the “play within a play” method to tell the storiy of Carl Sagan attempting to write a play on his experience in choosing and obtaining the content that would be on the Golden Record. The play explores the emotions Sagan may have experienced during the project by transposing them to his inability to figure out which momentts during the project should be included in the play. Overall, I was pretty enchanted with all of the plays Brent and I saw during the Fringe festival. The both of us got to watch something we enjoyed and were amazed at how well the plays were put together for only being an hour long. My one regret was not going to the late night events because they sounded like they would’ve been a lot of fun. But hey, girl’s gotta work in the morning. 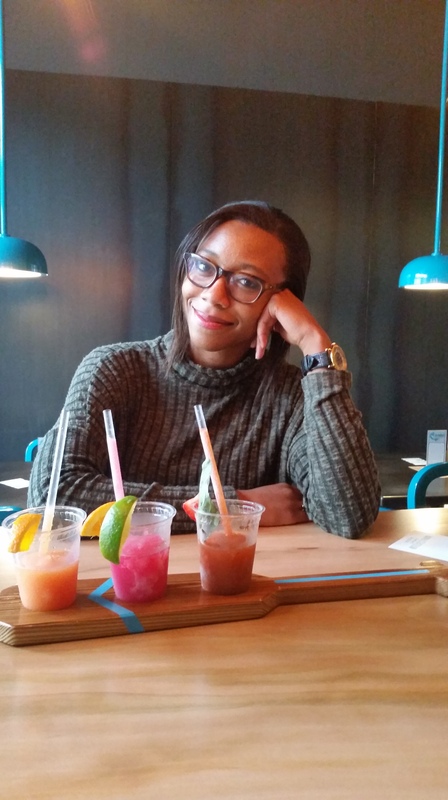 I’m Kara “Cora” Johnson and welcome to my blog! Keeping up with the City is a lifestyle blog that documents my adventures discovering the local scene around Kansas City.